Similar to Volume 1 and 2(see E1-35E & E1-36E), this third volume includes the life stories of influential Chinese who played a political or military role in the new Republic that emerged after 1911. 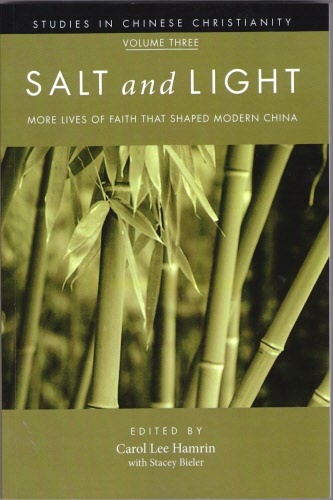 Recovering this precious legacy of faith in action shows the deep roots of the revival of Christian faith in China today. Many of these figures in history are known to Chinese intellectuals, but without awareness of their Christian foundation. 261 Pages.